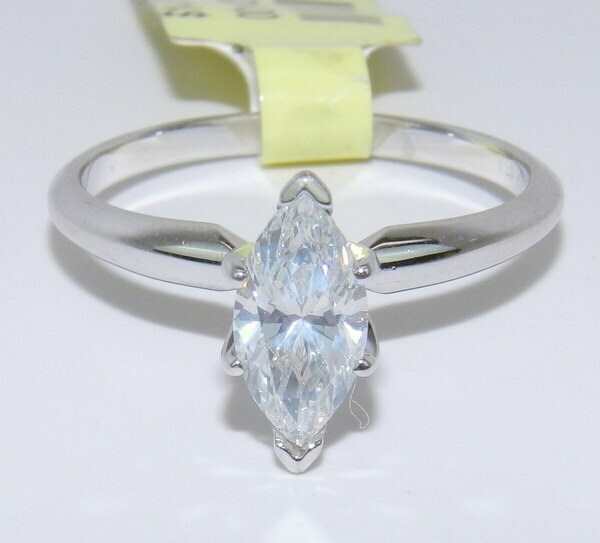 14K White Gold .90 ct Marquise Solitaire Diamond Engagement Ring. 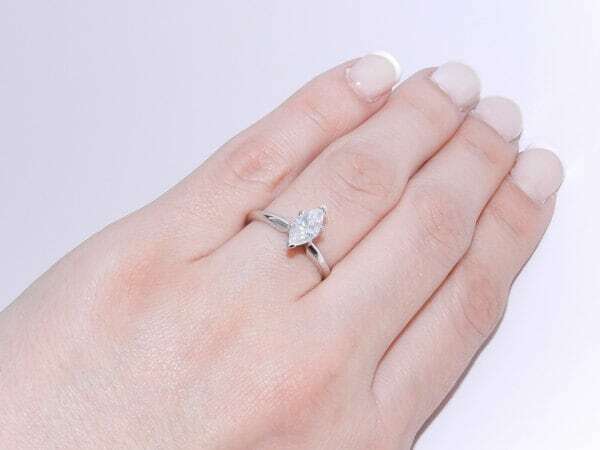 This engagement ring is set with a Marquise shaped Brilliant Diamond. 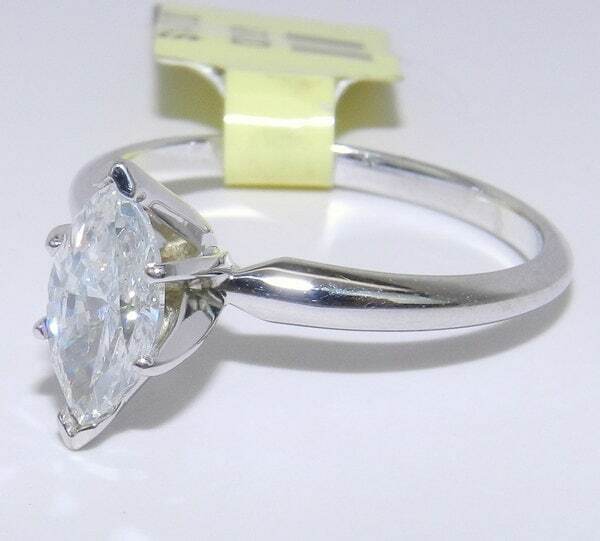 This diamond is G color, SI1 clarity, weighs .90 carats and is set in a 6-prong 14KT White Gold crown. 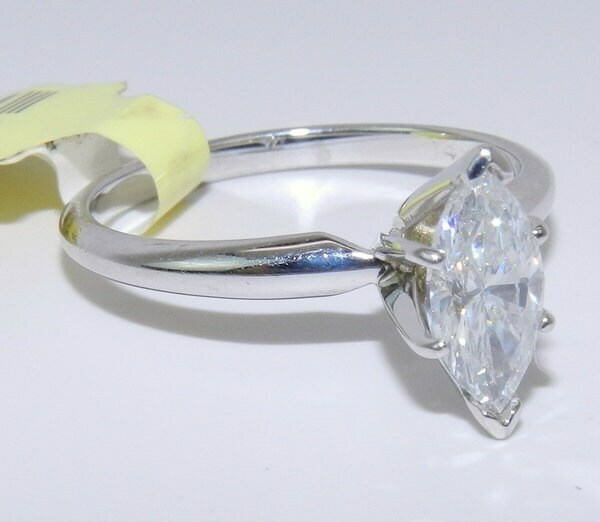 This ring is 14KT White Gold, weighs 2.7 grams. 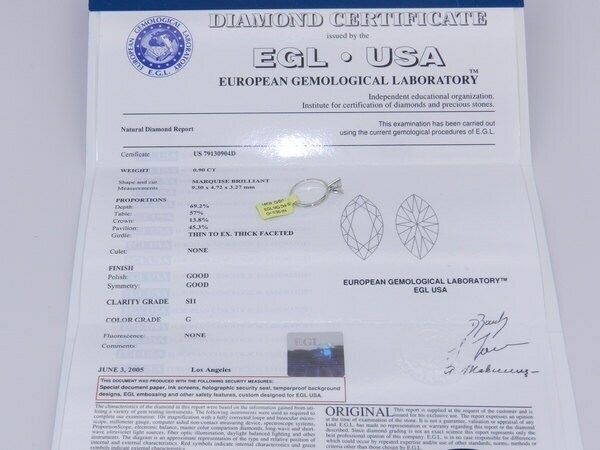 The Wholesale Rapaport Price for the diamond alone is $5310.00. 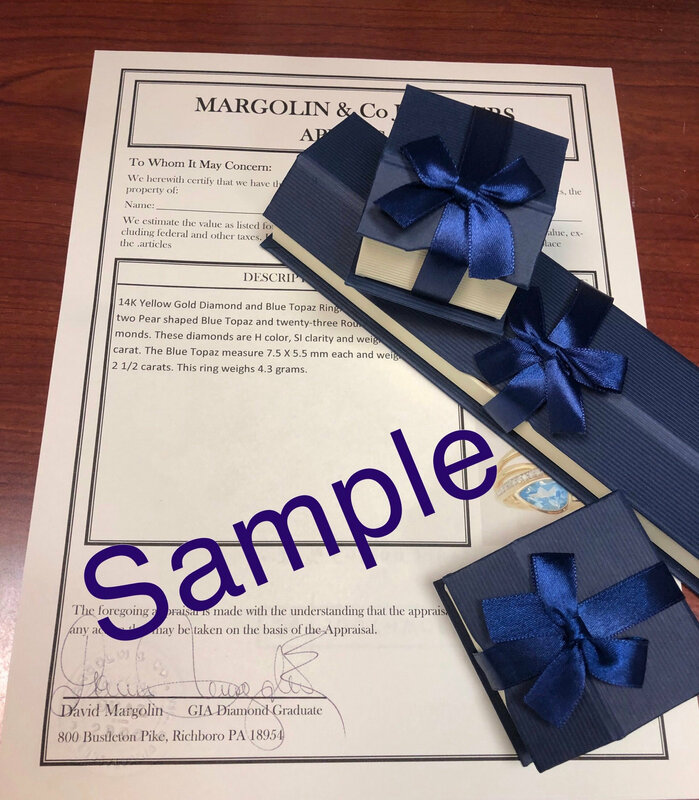 This ring will be accompanied by an appraisal with the retail replacement value of $5,689.00. I will ship this ring promptly in a beautiful gift box.